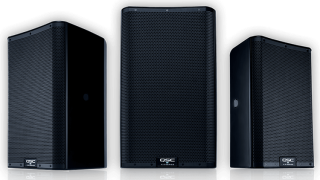 The What: QSC has introduced the K.2 Series, the next generation of the company’s popular K Family line of powered loudspeakers. The new K.2 Series, which is comprised of the 8-inch K8.2, 10-inch K10.2, and 12-inch K12.2 full-range loudspeakers, offers a number of feature upgrades. The What Else: Each loudspeaker model in the K.2 Series is equipped with a 2,000-watt power module matched to high-performance woofers and compression drivers. DMT (Directivity-Matched Transition) ensures smooth coverage across the entire listening area. Onboard DSP provides Intrinsic Correction voicing and advanced system management to further optimize performance. Designed for flexibility, K.2 Series models additionally provide operators with a library of preset contours for common applications such as stage monitor, dance music, musical instrument amplification, hand-held microphone, and more, while also offering storable scenes to recall user-configurable settings such as input type, delay, EQ, cross-over, and selected contour via the loudspeakers’ LCD screen and control panel. The Bottom Line: All three models can be operated as either main PA or as a floor monitor. Each model can also be flown, wall- or truss-mounted, or placed on a speaker pole, either straight-firing or with 7.5-degree down-tilt utilizing the new dual pole cup. The K.2 Series will be available in select markets beginning in mid-May. Estimated prices are: $649.99 for the K8.2, $699.99 for the K10.2, and $799.99 for the K12.2.